Forermost politician, Maitama Sule, is died – Royal Times of Nigeria. 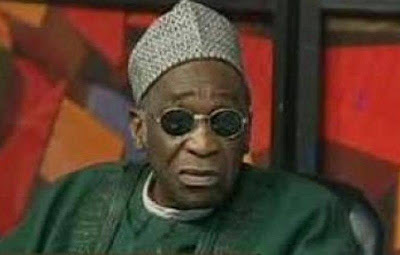 Former minister of the Federal Republic of Nigeria, Ambassador Maitama Sule has died. According to Leadership, the former Minister died in a Cairo Hospital, Egypt this morning. Maitama served as the Federal Commissioner of public complaints in 1976. In early 1979, he was a presidential candidate of the National Party of Nigeria NPN but lost to Shehu Shagari. He was appointed Nigeria’s representative to the United Nations after the coming of civilian rule in September 1979.While there he was chairman of the United Nations Special Committee Against Apartheid. Upon the re-election of Shehu Shagari in 1983, Maitama Sule was made the Minister for National Guidance, a portfolio designed to assist the president in tackling corruption. May Allah S.W.T grant him Jannatul FIRDOUS to be his final resting place. Also may Allah light his grave to be a better home for him.?? ?